Weight Loss | Your Health. Your Lifestyle. This drink was featured on The Biggest Loser along with other weight loss tips. You should drink at least three 8 oz glasses per day, they say the longer it sits, the better it tastes. You can eat them as well but they are intended as flavoring and still work, so that is a personal choice. The Vitamin C turns fat into fuel, the tangerine increases your sensitivity to insulin, and the cucumber makes you feel full. Try it for 10 days and see what you think! Still stuffed from Thanksgiving? Join the club. The average American gains 1 pound during the holidays, says the National Institutes of Health. While a single pound doesn’t seem too drastic, the cumulative effect of annual overeating can contribute to obesity. Exercise: Don’t let your workout routine slide during the holidays. A fine tuned metabolism will lessen the impact of fluctuation in what you eat. Stay even: Instead of trying to lose weight, aim to maintain your current weight through the year. 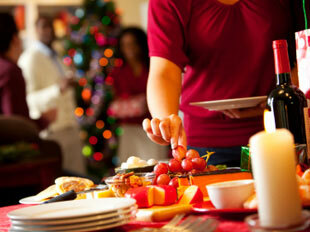 Party carefully: Those plates of chips and dips and calorie–infused alcoholic beverages add up fast. Practice moderation. Change your focus: Enjoy the company around you at cocktail parties and family gatherings. Play games. Be merry. The gathering doesn’t have to revolve around eating. Prepare reduced–fat dishes: There are many healthy holiday recipes to choose from. You and your guests probably won’t even notice the difference in taste. Q I’m tired of yo-yo dieting. How can I lose weight –and keep it off? The trick is to choose foods you enjoy and eating strategies you can live with. That way, once you reach your goal, it won’t be a struggle to stick with your plan. Start with small changes, like including a vegetable at lunch. And reflect on your success. 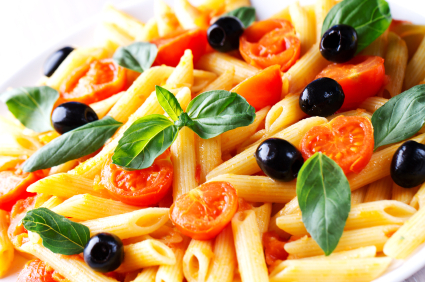 Feeling a sense of accomplishment will help you tackle the next challenge – reining in pasta portions, say — and the next. Q I’d rather use a little butter instead of low-fat spread because of the chemicals. Is that OK? I wouldn’t worry about the chemicals in spreads – no one has shown that these are harmful. As for butter, you have to decide who you want to spend your daily saturated fat and calorie allowance. A tablespoon of butter has 7 grams of sat fat – more than 2 third the amount you should consume each day – and 100 calories. If you use it sparingly, and don’t load up on other high-fat products, it’s probably all right. Q What number is most important on a food label? Scrap the frap. Blended java drinks often contain whole milk, spoonfuls of sugar, and dessert–like ingredients such as whipped cream and gooey syrups. Large sizes can contain upwards of 750 calories, including over 25 grams of fat. Instead of swinging through a coffee house, try blending ice cubes, skim milk, peanut butter, banana, and a tablespoon of cocoa powder for a shake that won’t shake your waistline. Kick the can. A typical 12–ounce soda delivers 150 calories — many from the roughly 40 grams of sugar sloshing around inside. And while diet versions don’t add calories, they’re nutritionally deprived and laden with artificial sweeteners. 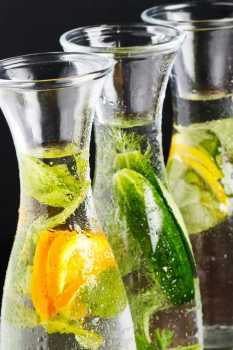 Instead, dilute unsweetened fruit juice with water or flavored seltzers for fizz. Stay sober. While resveratrol in red wine is thought to benefit the heart, many studies still suggest too much alcohol is unhealthy. And with 7 calories/gram (compared to 4 calories/gram of carbs or protein), it’s no wonder they call them beer guts. Limit to 1 drink a day for women and 2 drinks a day for men. If you have a weak heart, high blood pressure, liver problems, or are pregnant, ditch the drink altogether. Often, it’s the little-known facts like these that can make a huge difference in your life. The consumer reports on health brings you objective facts to help you make smart decisions about your health. True. Sleep deprivation significantly raises the appetite-boosting hormone ghrelin, while lowering the hunger-reducing hormone, leptin. False. Both swimming and jogging burn about the same amount of calories. Swimming is easier on the hips and knees, but jogging helps protect against osteoporosis. False. Your BMI (body mass index) number is not the best indicator of being overweight. It has several problems, including not being able to distinguish muscle from fat. Here in the U.S. so many people are fighting their weight. 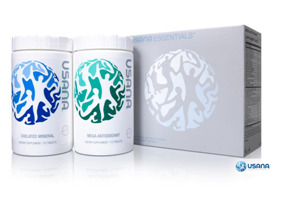 Especially as we age, the metabolism slows down and it is easier to gain weight. But it is not just adults. How many overweight teens, children and young children have you seen lately? Way too many. Fast foods diet tends to put on weight. It is too high in carbohydrates and fats, providing little in the way of fruits and vegetables, which provide fiber and vitamins and minerals. In addition chemicals in our foods are messing with our metabolism. And something I don’t hear many people talking about, is that some of the chemicals that are used as pesticides on our food and on our lawns get into your system and cause hormonal problems – too much estrogen in both men and women. Being too estrogenic also puts on excess fat. From the PBS site as an example: the estrogenic effect of chemicals running off of the FARMLANDS into ponds and streams, is causing too much estrogen in some frogs. The male frogs are developing eggs in their testes, actually able to be fertilized by another male frog and lay fertile eggs!